A Flying Jatt 4th Day Collection and Sunday box office earnings report: Tiger Shroff is turning out to be the very next charm star in bollywood. His movies are working amazingly great on box office despite getting average reviews. He had recently delivered two back to back hits to the industry. Although A flying Jatt’s storyline appeared to be a weak one from first look but it was most awaited because of charm of Jackie Shroff’s son. All we can say after observing the box office collections of A Flying Jatt is that the magic continues. Its always a tough job for any new star to cross 50 crore club on the box office, doesn’t matter whose son he actually is. Recent song of Tiger with girlfriend Disha Patani had created mass publicity with the potential viewers. Tiger had worked very hard to perform the never seen before action stunts in the film and it can be clearly seen. Directed by world famous coreographer Remo the movie has special charm in avatar of Jacqueline. The film was released with almost no competition on the box office. Neither it faced any type of blacklash or boycott movement. A Flying Jatt collection had largely effected the earnings of Akshay Kumar’s Rustom, which was going well since last 2 weeks and minting good amount on the weekends. 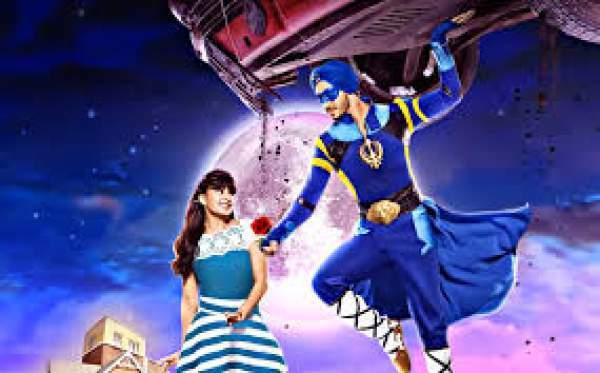 A Flying Jatt was released in over more than 2100 screens throughout the India. Out of the 2100 screens, around 1000 went towards multiplexes and pvrs’ while the other count of 1100 screens went to single screens. Film reportedly performed poor in single screens in comparison to multiplexes. The movie was released on Thursday which was definitely a special screening considering Janmashtami on that day. Since it was a festival release, the earnings are expected to cross 10 crores at least on the opening day. Film opened low with low marks of occupancy, minting only 7.10 crores on Thursday. The occupancy didn’t growed too much in the night shows and maximum mark of 42% observed in metro cities. The subsequent day was Friday and hopes were limited from it being a weekday. But since its one of the day fallen in 4 days long weekend, it should also be counted as weekend. A flying Jatt collection almost failed on the 2nd day earning strictly poor amount of 6 crores. Considering the audience, talkie remains popular among young kids who went to theaters with their moms. During the saturday the film perfromed strictly average on the box office minting only 07.60 cr rupees from the entire country. With the same Film has 3-day total of 20.70 cr nett. On Sunday, the film boomed on the box office minting out the maximum from 1st weekend. The film performed strictly average in comparison to any other talkies of Tiger. It appears Tiger need to review script of the movies before approving them. As its 4th day collection, the movie was successful in earning a figure of 9.5 crore rupees. With this, the 1st weekend collection stands at 32 crore rupees from domestic and overseas market.